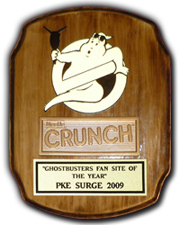 May 15 - Where can I purchase a Hero or Stunt Proton Pack? 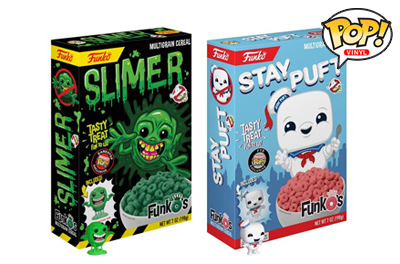 Priced at $12.99 each, the cereal boxes include a mini-Pop Vinyl figure of their respective characters. 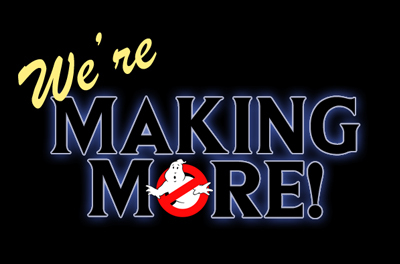 The Slimer Funko's is scheduled to go on sale on June 2nd, with the Stay Puft Funko's available from May 10th. Details about the next wave of figures are currently under wraps, but it's likely we may see something at San Diego Comic Con later this year. Stay tuned for developments as they surface. 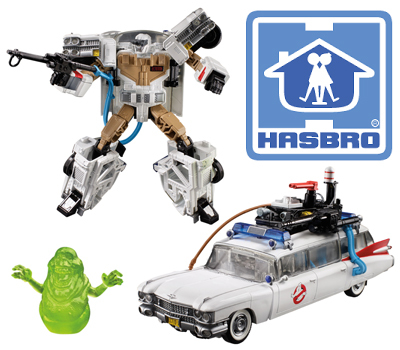 Certain to be the community event of the summer, toy manufacturer Hasbro, comic publisher IDW, and Sony Pictures have teamed up to give us not just one Transformers/Ghostbusters product, but two. Kicking things off will be Hasbro's production release of Autobot Ectotron, an Ectomobile that's more than meets the eye. 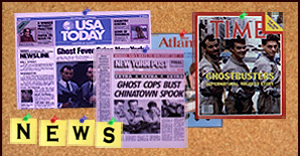 The release of the figure will be followed-up by a previously-"top secret" project, which has been revealed to be a five-issue origin story for Ectotron, Ghosts of Cybertron. The miniseries, written and illustrated by the Ghostbusters: Ongoing team Erik Burnham, Dan Schoening, and Luis Delgado - will see the Ghostbusters and Autobots fight the Decepticons due to paranormal circumstances that'll link Earth and Cybertron. 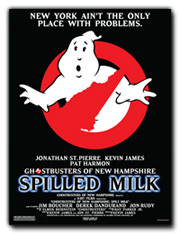 Ectotron is expected to go on sale for $49.99 this summer, exclusive to GameStop, EB Games and HasbroPulse.com, with a projected release date of this Summer. Ghosts of Cybertron will go on sale this June. 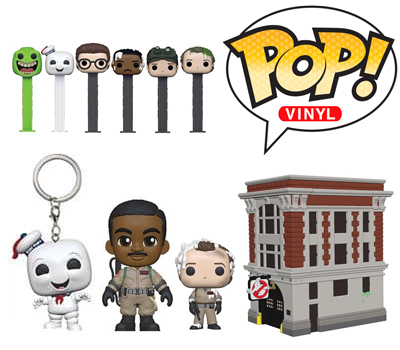 Like other merchandise companies, especially in the run up to the 35th Anniversary this year, Funko will be releasing even more Ghostbusters merchanise for casual fans and avid collectors to buy. •10inch Super Size Stay Puft - Exlusive to GameStop. 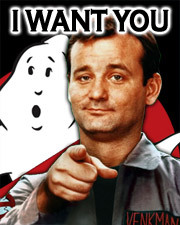 There will also be a range of Ghostbusters Mystery Minis, pens, keyrings, plush toys and Pez dispensers. All products excluding the plush toys are expected to hit shelves around May this year. The plush toys are expected to hit shelves in June. Visit the topic for more images of the new Funko products.